This small 18″ by 16″ sign features a dog looking into an old music box player. The text reads “You know it by this. 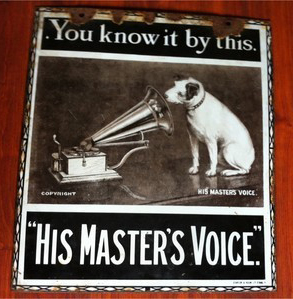 His Master’s Voice.” The sign is black and white and the sign illustration appears to be a photograph.